You may know that I really love the Word of God and enjoy receiving newly packaged Bibles to review here on the blog. Well this week I have not one, but two Bible’s to tell you about. Today, I have a new children’s Bible that I think will be a super delightful gift for one of my grand daughters. As a matter of fact, I am thinking about buying a couple more copies as I have several grand daughters! The Sparkle and Change Bible is packaged in a teal blue or pink cover. 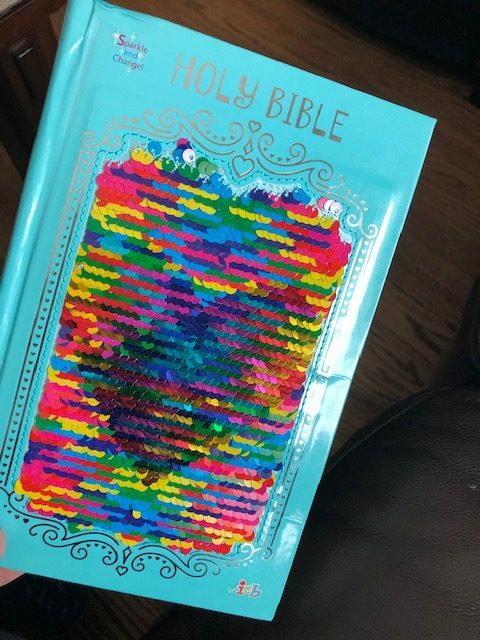 The cover of the Bible has embossed detailing, and sequins that change color right before your eyes. 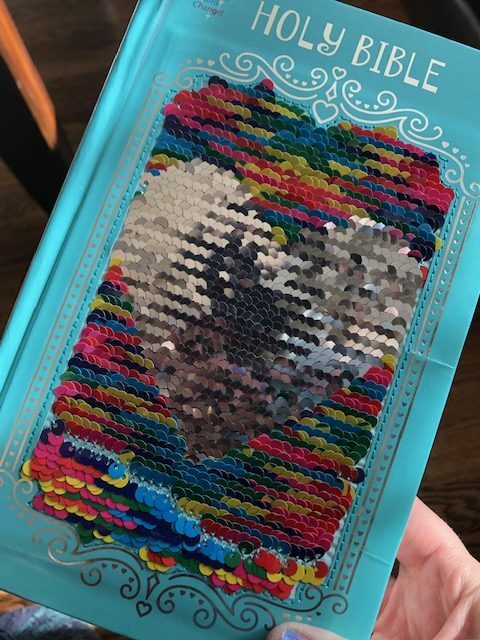 I have caught my teens handling this book, and running their hands over the sequins. It is definitely eye catching and fun. This Bible is set in ten-point type, with bold in-text subject titles. This will help kids find the passages they are looking for more easily. There are bold type words that correspond with the dictionary and the concordance. And as always, I appreciate the maps and timeline that are included. 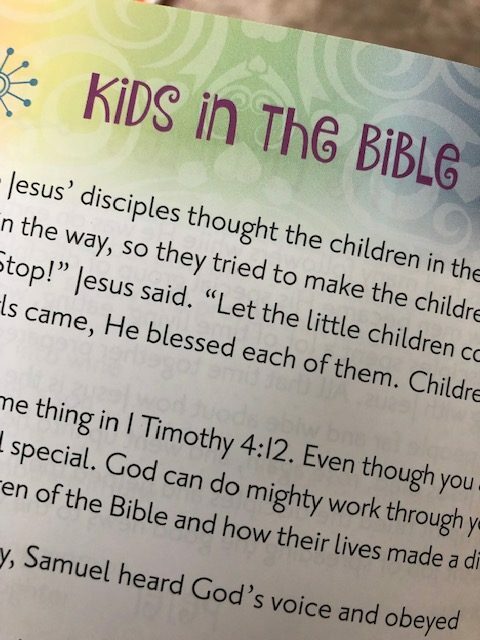 There are pretty pages that include a presentation page, a place to record favorite verses and articles to increase a child’s understanding of Jesus’ love and purpose for her. 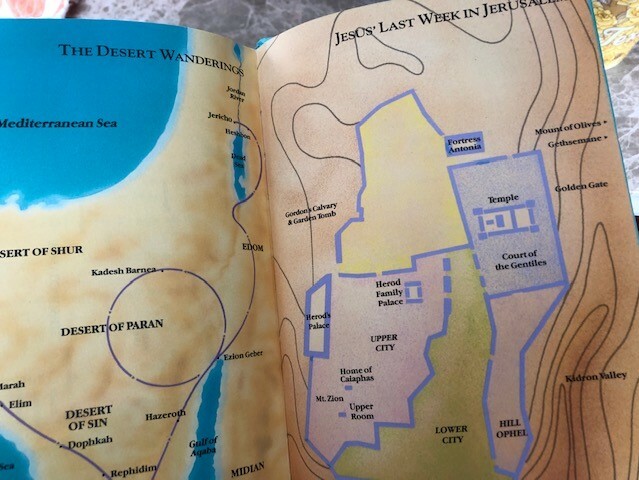 The translation of this Bible is the International Children’s Bible by Tommy Nelson. This translation was created for children, for readability and understanding. This is a good translation for children between about 6 and 10 to use in his/her own reading and following along in Sunday School and church. One thing I’d recommend is that you don’t have your child memorize in this translation. Choose the translation that your family, or your church teaches from… and memorize from it. From experience I know the challenge of memorizing in one translation…and it not meshing with the memory work in the teen and early adult years. My photos just don’t do this Bible cover justice. It is quite pretty and very sparkly. Thank you to Front Gate Media and Tommy Nelson for this free Bible in exchange for this post. As my youngest children are all now older teens, the titles on the bookshelves have gone through changes. That said, we still have two shelves full of old friends, our favorite children’s books. I often receive books to review on By Quiet Waters, and in that endeavor a few gems have been added to the children’s shelf. Two of these gems are “The Cow Said Neigh!” and “Tiggy Iggy Goes on an Adventure“. 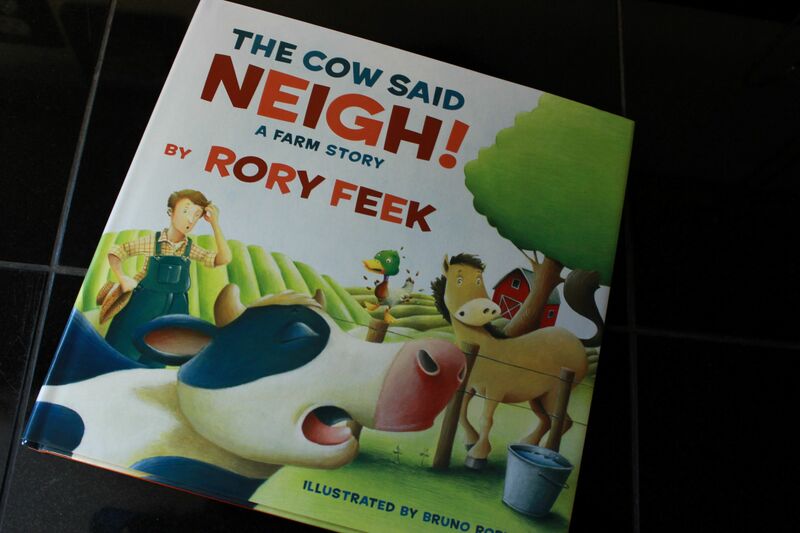 The first book is “The Cow Said Neigh!” by Rory Feek. Illustrated by Bruno Robert. The Cow Said Neigh! is a charming fun story. When I first read it, I felt that it ended too abruptly, that it was unfinished. But the more I read and think about it, I love that the author left the story this way. The farm is left in “chaos” and… the reader is left to think about it and add his or her own spin to the story. I find it hilarious. 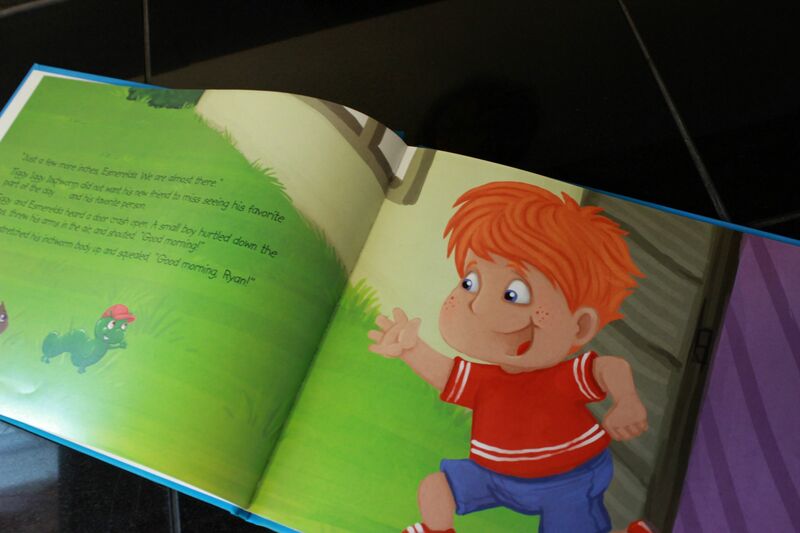 It should be fun to read with my youngest grandson as he grows and see how he responds to the story! My copy of this book is hardback, and I do think it would be better as a board book. This book is definitely more appropriate for the youngest kids, and for that lot we need more durability! So if you are interested in this book, I recommend that you choose the board book version. A series of coloring pages have been designed for The Cow Said Neigh! and you can find them here. Also, there is a giveaway for a free copy of this book. You can enter here. The Cow Said Neigh! was sent to me by Front Gate Media, in exchange for this review. This book has actually been in our home for about a year. Miss Joyness has kept it on the nightstand beside the bunk beds because it is a favorite of hers. We read it pretty regularly, and love to sing “the song” together. 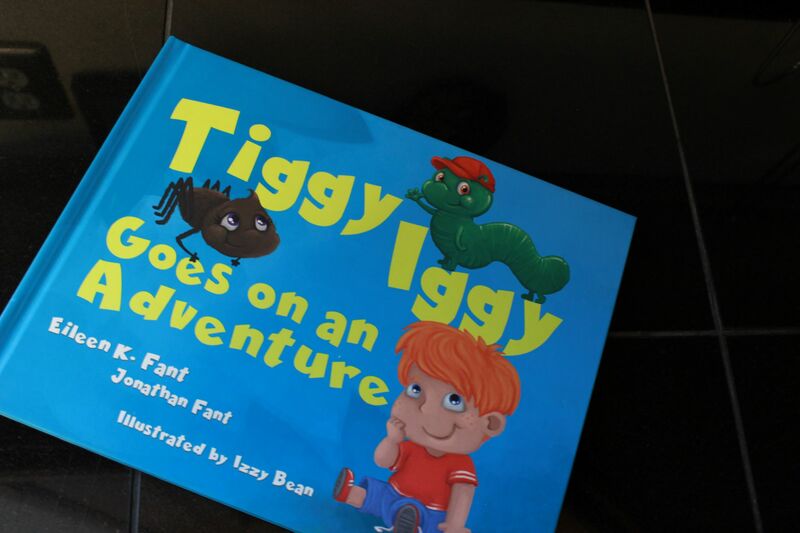 In this story, Tiggy Iggy goes on an adventure with his friend Esmerelda, and learns a pretty important lesson about friendship and acceptance. 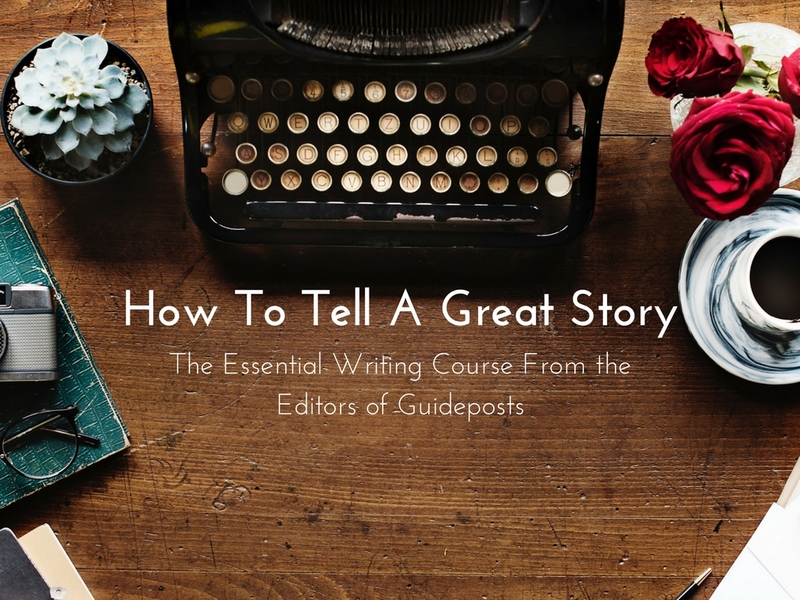 The story is charming and engaging. We particularly love the song and have added some of our own lines. The illustrations are delightfully bright and cheerful. 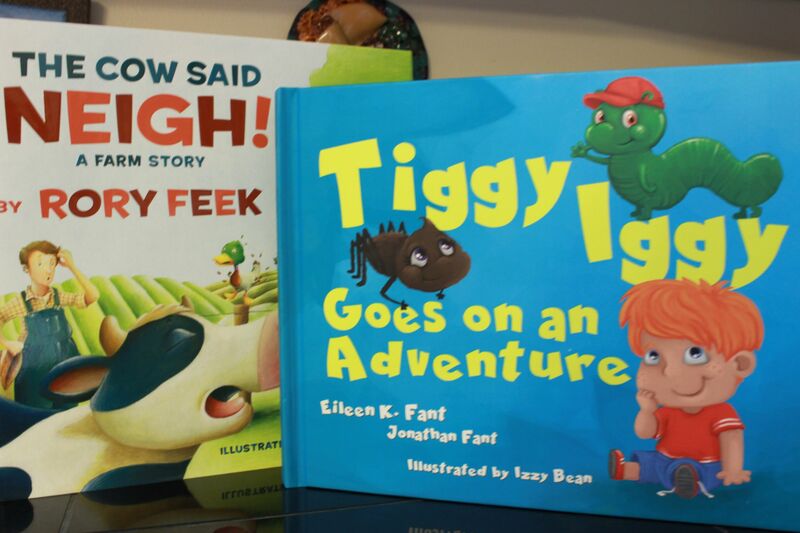 These two books have passed the test and made it onto our family’s bookshelves. Check out your local library to enjoy these books for yourself. There are affiliate links throughout the post if you would like to purchase the books. You can read my affiliate disclosure here. Life can be described as a battlefield. While I am not one to be in that camp, I do agree we face battles daily. 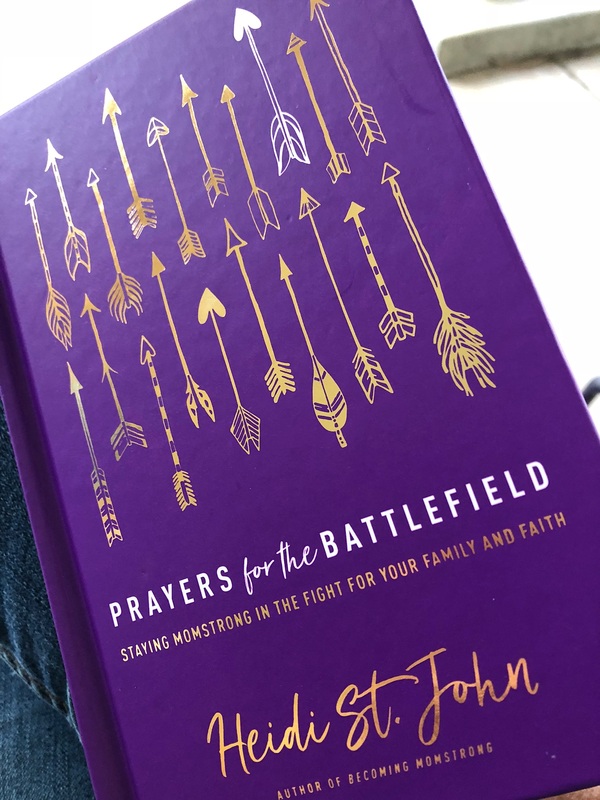 Recently I was introduced to this book, Prayers for the Battlefield and I am happy to share it with others. As you can see, this book has a beautiful cover. And the actual book is equally beautiful. 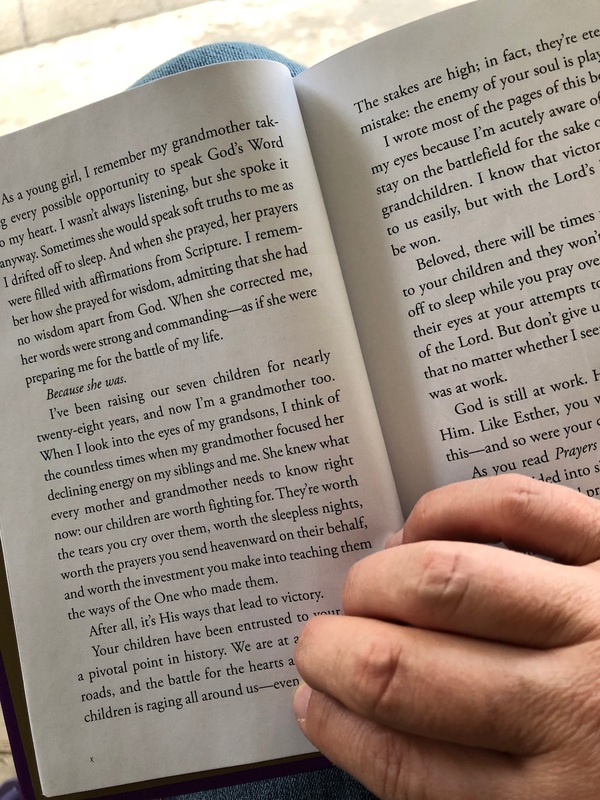 Filled with encouragement, instruction, and prayers, this book is one I am excited to share with the moms of my grandkids. Prayers for the Battlefield is divided into 6 sections. There is a topical index at the end of the book, so you can look up a prayer for the struggle you need God’s help in. The prayers in this book are a good guide and I would encourage others to use them to develop one’s own prayers. Already having this habit in place, I did find it a little awkward to pray another person’s prayers. Heidi St. John is a speaker, author and blogger at The Busy Mom. 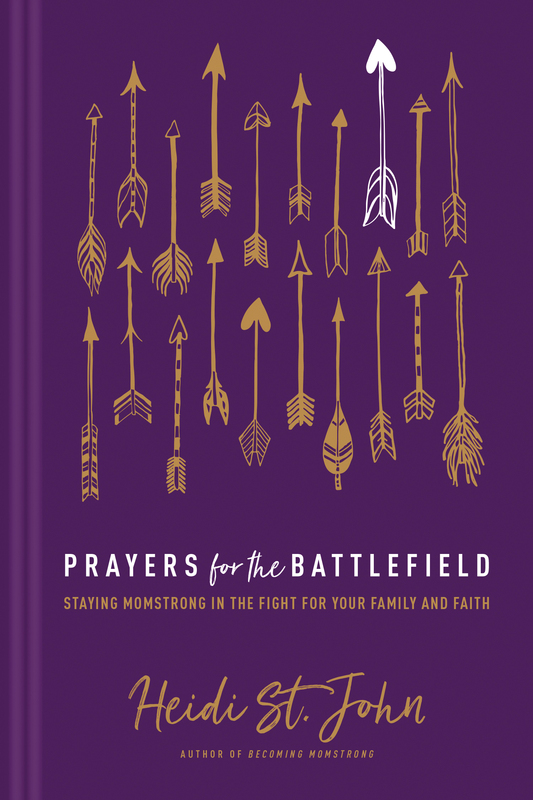 She has infused this new book with Scripture and I hope that it become another tool for Mothers and Grandmothers to lift up each other and the next generation in prayer. Having our kids in the kitchen has been a normal part of family life. My husband is a great cook and an excellent teacher. From the time the kids hung out in backpacks while we cooked, until now, Builder has been teaching them how to cook all the favorites. Builder loves to cook big meals, with Thanksgiving being at the top of his favorites. So you can imagine making sure the kids know how to prepare not just any meal, but the Thanksgiving feast is high on his priority list. As the years have passed, some challenges arose to the way we’ve always prepared food. First was the lactose intolerance that caused us to sideline some family favorites like lasagna. 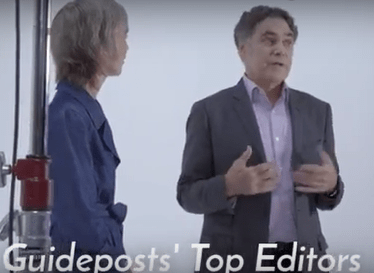 Then a gluten intolerance issue that got worse, and celiac disease entered our vocabulary. Add some food allergies and meal time became more of a challenge than a delight.